The 38th Republican Committee of the Santa Clarita Valley covers a wide area of the city of Santa Clarita along with northern portion of the San Fernando Valley, and areas both north and south of Santa Clarita including: Agua Dulce, Twin Lakes, Porter Ranch, and Val Verde. The 38th District is a Republican District that is made up of 7 members who’s main purpose of work is to represent all the Republicans in the covered areas. Voters elect the body of members to the 38th District every four years. The 38th Republican Committee also dedicates their work to only representing Republicans, but the core values of the Republican voters. Some of these organizations listed on the 38th Republican Committee website include the SCV Young Republicans, which is centered on the next-generation of Republicans in California. Another organization aside from the SCV Young Republicans is the Republican Hispanic Assembly Of Great Los Angeles. This Republican organization caters to hearing concerns, sharing values, and ideas on Hispanics across the country. The 38th Republican Committee has a number of events and meetings they organize and hold in the Santa Clarita Valley. You can find times and locations of all events on their website. 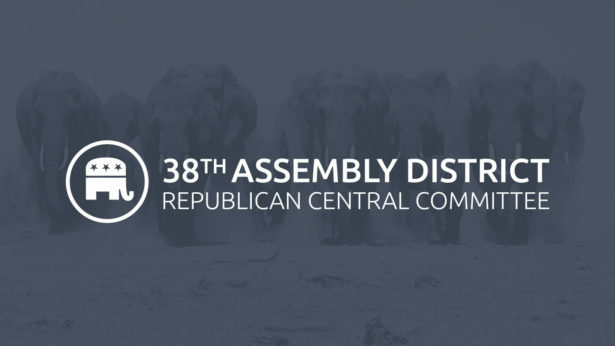 To learn more about The 38th Republican Committee, click here.